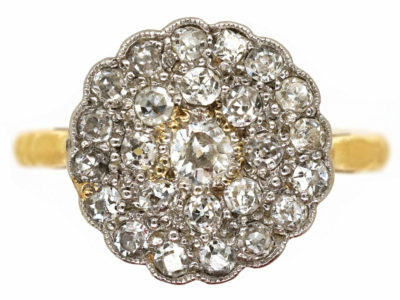 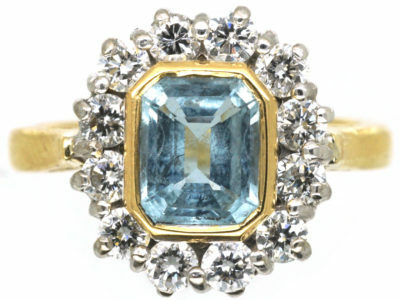 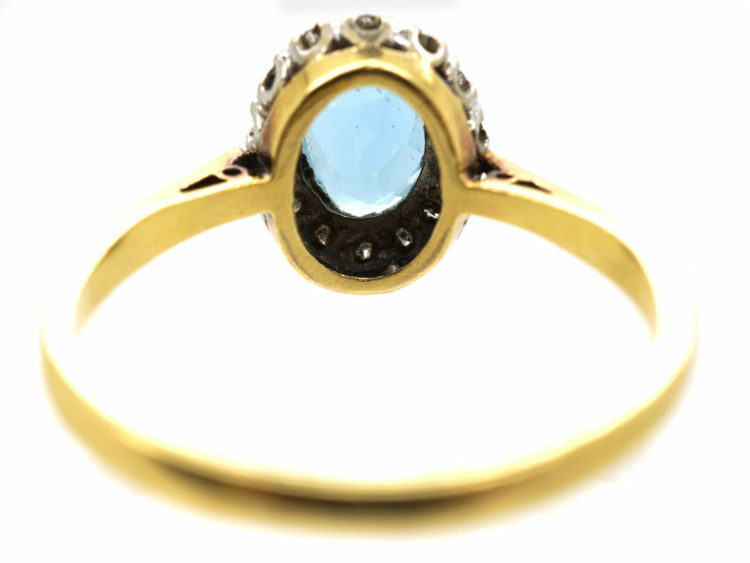 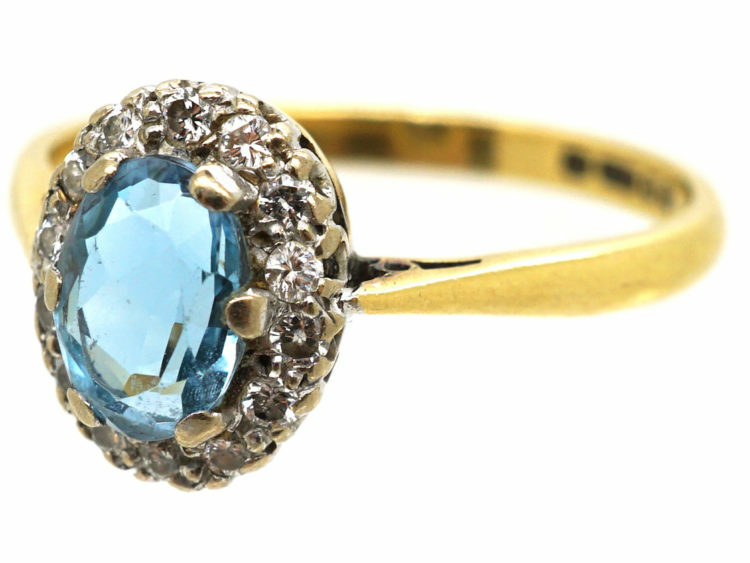 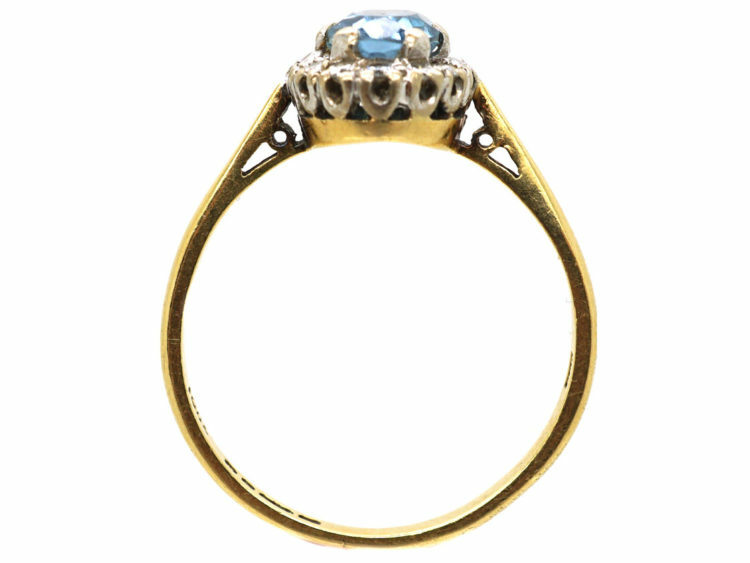 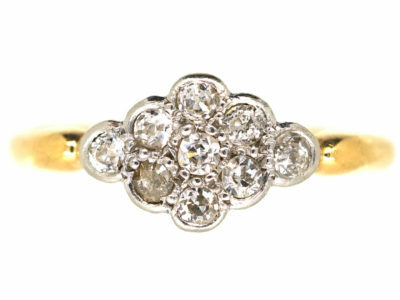 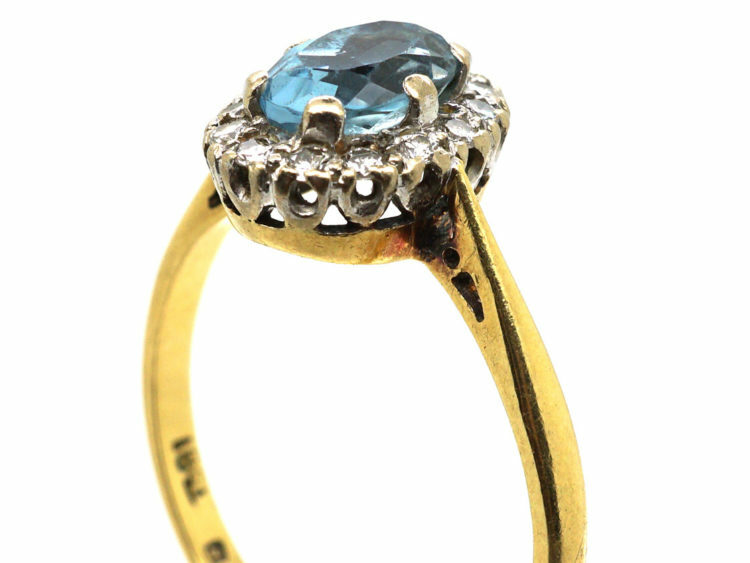 A very pretty 18ct gold and aquamarine and diamond oval cluster ring. 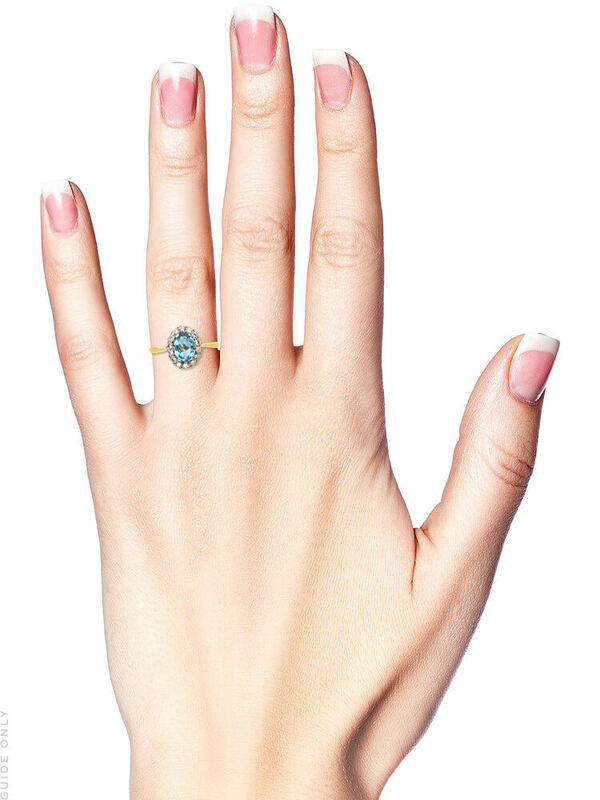 It sits low on the finger and is a neat look. 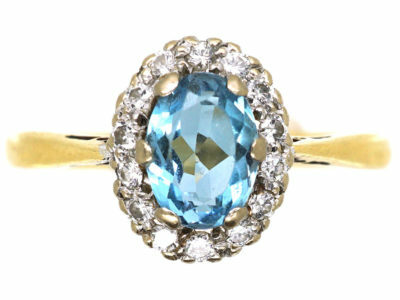 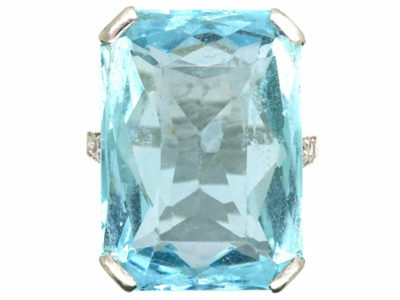 Aquamarine was believed to be the treasure of mermaids, and was used by sailors as a talisman of good luck, fearlessness and protection. 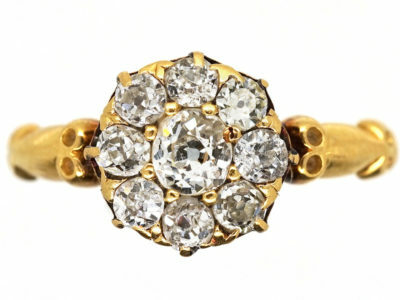 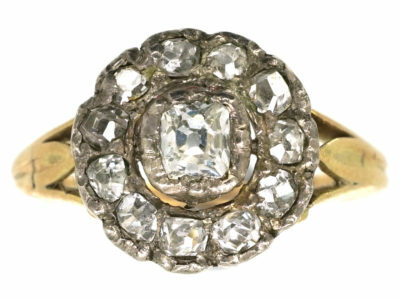 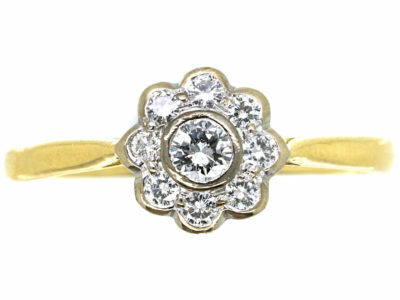 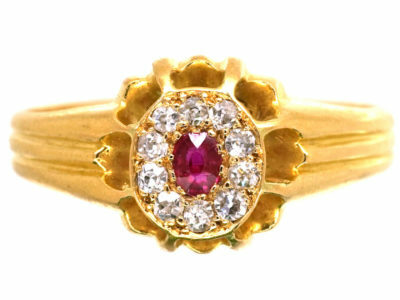 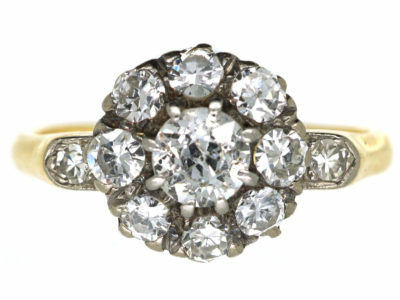 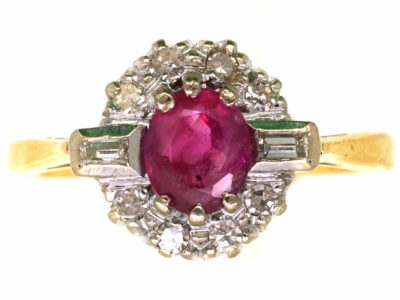 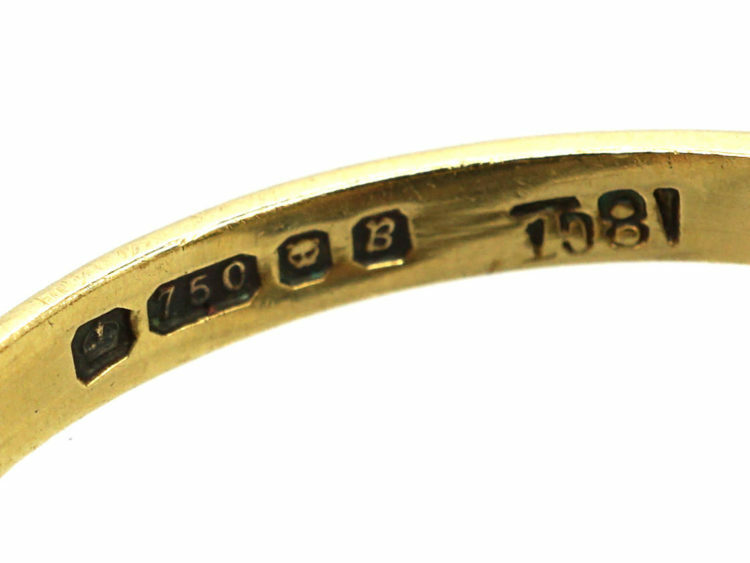 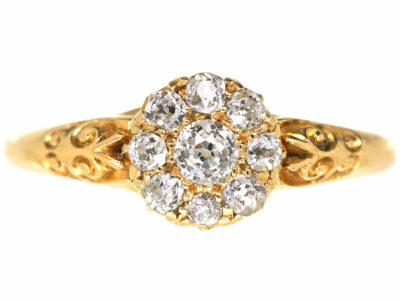 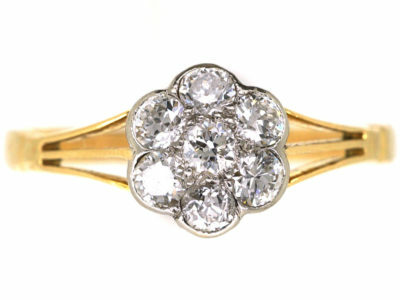 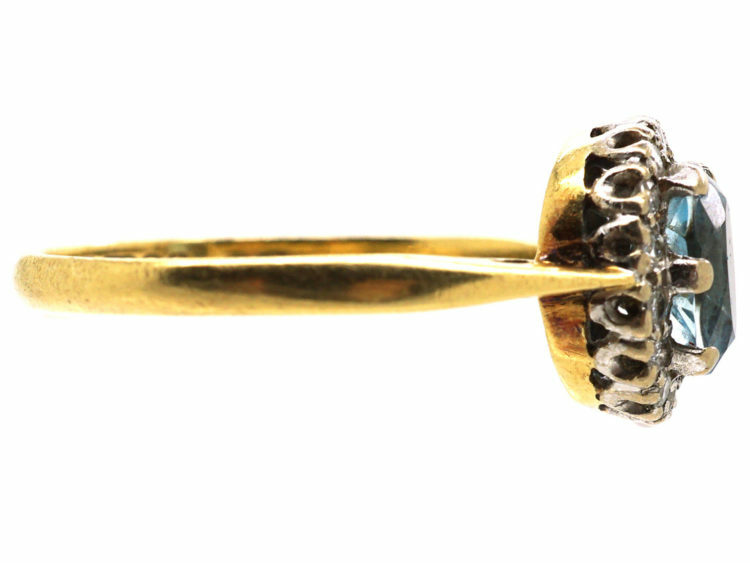 It was also considered a stone of eternal youth and happiness so it would make a lovely engagement ring!